By default, your loyalty program includes a loyalty program tab for customers to access your loyalty widget. 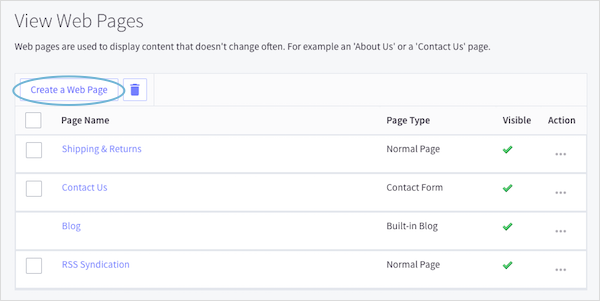 📝 Note: If you are not using a BigCommerce Stencil theme, first make sure you have installed your loyalty widget by following this guide. 2. 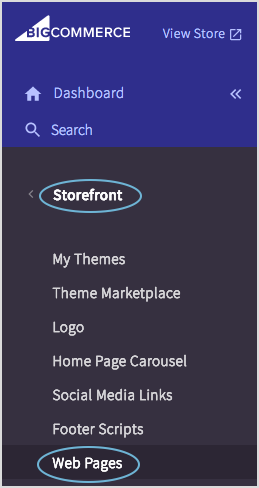 Switch Add your loyalty widget tab to your eCommerce store to OFF. 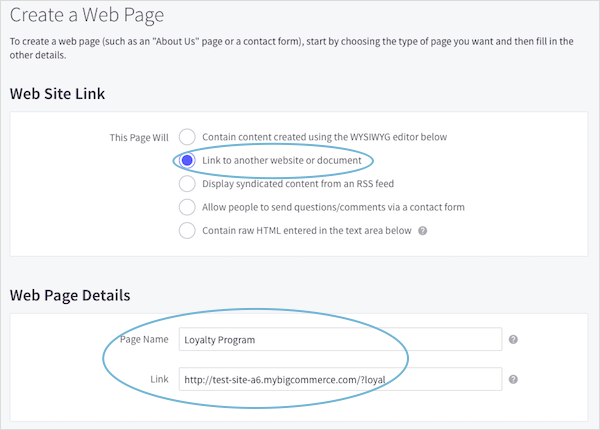 To create a tabless loyalty program, you'll need to first create a loyalty program link. 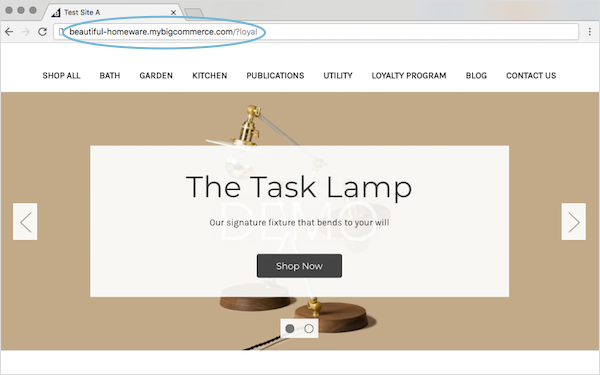 💡 Pro Tip: You can have this on any page on your website, as long as it has the /?loyal at the end of the URL. 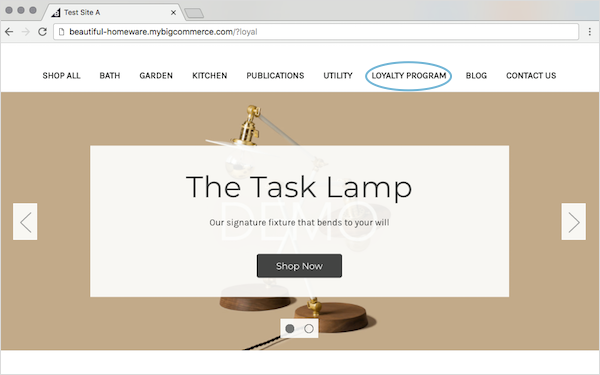 When a visitor clicks Loyalty Program, your loyalty widget will open. New customers can join your loyalty program and existing customers can login to check their points balance, earn points and redeem rewards.